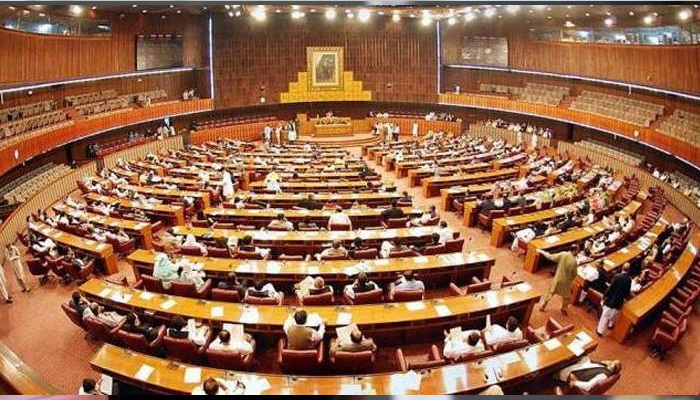 Past tensions between the Pakistan Muslim League- Nawaz (PML-N) and Pakistan People’s Party (PPP) was apparent during the oath taking ceremony of the 15th National Assembly, a local media outlet reported on Monday. Past conflicts between parties in the opposition influenced the behaviour of top leadership which failed to cooperate with each other to hold a protest and wear black armbands at the assembly session to protest ‘massive rigging’ in the recently conducted general elections. There was no joint protest strategy between the major parties and interaction between top leadership was limited to basic handshakes. While party MPs chanted slogans in favour of their respective parties, coordination between the two parties outside the assembly remained poor with no apparent joint political strategy for the coming days.